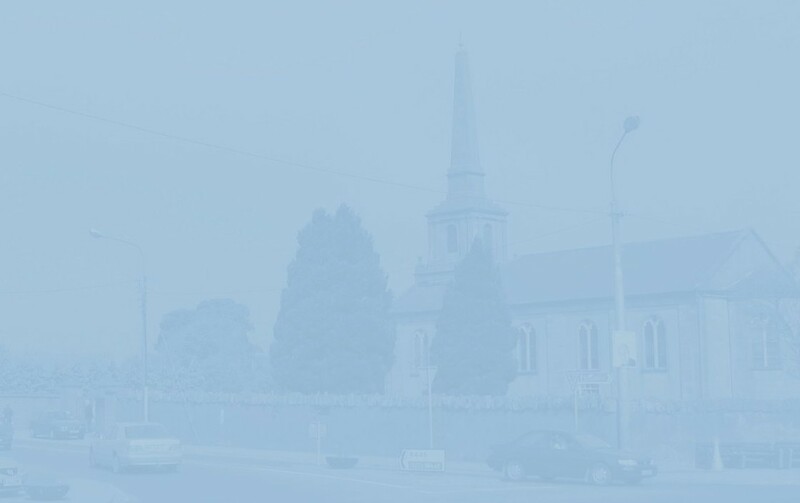 In 1850, John Baldwin, listed under 'Gentry' in contemporary directories, was leasing a house on this site to Bridget Moran. Throughout the rest of the century, there was a rapid succession of occupiers: Mary Gilson, Anthony Griffith, Frances Coates, Henry Sythes, Michael Bradshaw (shopkeeper, 1870), and Bartholomew Delander (shopkeeper, 1881) who was of Huguenot ancestry. (In one of his notebooks, Eddie Boylan wrongly claims that his name was Gillander.) Mr Delander was succeeded by Deborah Brennan and John Maher1. Eddie Boylan adds a Dora Brannock to that list, but I wonder whether he was confusing her with Deborah Brennan, or whether the Cancellation Books were doing the same thing in reverse? Or is each source half-right, and the actual occupier was Dora Brennan, an earthenware dealer listed in Slater's Directory of 1894? In 1901, Dorah Maher (née Brennan??) is listed as Head of Family2. She was evidently a busy woman with no less than ten boarders - seven farm labourers, two blacksmiths and a County Council clerk - from various corners of the country. On that night anyway, the only help she had was a ten-year-old messenger boy. Ten years later, a greengrocer, William Gavin was living here with his wife Martha, infant son William and, a domestic servant, Anastatia (sic) Sheeran. The Gavins were succeeded by Joe and Mary Brown's confectionary, sweets, fruit and fancy goods shop (1953: Your inspection is invited. Your satisfaction guaranteed). Joe Brown's father, James ('Jimmy'), was a decorated veteran of trench warfare in World War I and you can read a very interesting account of his career by family members in Portlaoise Past & Present by Johnny O'Brien3. As well as its culinary attractions, Brown's café, in the 1960's and '70's, boasted a great juke-box. In Noël Coward's play Private Lives, a character remarks 'Extraordinary how potent cheap music is', and whenever I hear, or even think of the song Tie A Yellow Ribbon 'Round the Ol' Oak Tree, I am instantly transported back to Brown's: It is sometime in the early 1970's, around midnight, we are waiting on our batterburger and chips - no wonder I have high cholesterol today - a few pints making us more willing than usual to sneer at Tony Orlando & Dawn on the jukebox. I have no idea why I should ever think of that particular song or recall that moment so vividly, because Brown's jukebox was famously well-stocked - my brother used to go in regularly just to play Black Sabbath's Paranoid - probably due to the fact the Brown lads were into music themselves. One of them, Joe, was the lead vocalist in a group - Joe E. Brown and Friends - that packed out the Macra, Mountmellick CYMS and other Midland venues in 1969/70. Aided and abetted by Dave Allen (Bracknagh, Keyboards); Patsy Slattery (Portarlington, Guitar); Joe Murphy (Portarlington, Bass); and Sandy Metcalfe (Mountmellick, Drums), Joe was noted for his animated performance of all the hits of the day. After his departure - he eventually emigrated - the group became The Friends Showband and continued until 1972. 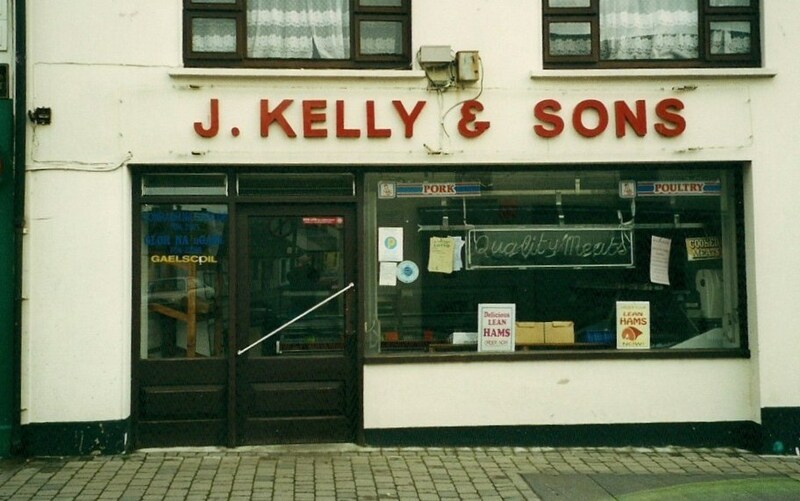 Formerly a butcher with Robbie Delaney in the Market Square, John Kelly opened his own shop here in November 1978. He also had a shop on the Borris Road. Today, the business is run by his son and namesake. 1 Eddie Boylan has no mention of John Maher ever living here. Instead, he places him two doors down the street. 2 There is no sign of him on the main page, but, elsewhere on the Census Form, it is John Maher who is listed as Head of Family (and the building described as a shop). 3 Arderin Publishing Company, 4, Parkview, Portlaoise.